INTRO One bird who is struggling to fight its way out of the egg. Discussion in 'Forum Introductions (Who are you!?)' started by gracekyung, Apr 15, 2019. How do you do? I am from South Korea. I have read the book Unscripted in the Korean version. I was fascinated by the message of life and entrepreneurship, so I decided to join the Fastlane Entrepreneur Forum with poor English. After 1990s Asian financial crisis, South Koreans think choosing safe jobs are number one wisdom. Many conglomerates collapsed and our workaholic fathers lost their jobs. Grooms with government officials and doctors jobs were best for brides. That kind of atmosphere affected me, too. I was an obedient and kind daughter who studies hard and listen to my grateful parent, following traditional Confucian teaching. I went to a good university and worked as a banker after graduation. Bank invested by governments was considered as a safe heaven job with relatively high salary because these financial institutions are too big to fail. Then I was a good worker who follows company manuals and worked overtime like many workaholic Koreans. One day, one client came to me and shouted I sold f...derivative commodity which damaged his company a lot. I explained to him and tried to keep calm. The bank brought to court and won. The client was lost. He lost his lifelong accomplishment, company. I was still a good banker who sold successfully fraud goods as the bank head office said . but I lost my passion and felt guilty. I became a zombie, just waiting for a salary like my co-workers and branch managers. My friend brought me a new famous bakery, Maybell Bakery known for its wholesome, simple baked goods, most of their bread is not only vegan but also sugar-free and loyal customers. That bakery was closed if all bread was sold. Sometimes 1 PM. Most ordinary bakeries are open until 10 PM in Korea. and I was also shocked the owner of this bakery was once an ordinary researcher in the cement company. 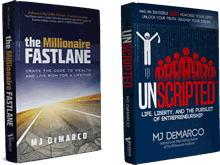 When I read your book, I felt MJ DeMarco told me personally. Now I am preparing the second chapter of my life as an entrepreneur. I am a bird who is struggling to fight its way out of the egg. I should reset my mind and environment as a master and boss. I have no more manuals to follow. I have no more prepared goods to sell from head office. I hope I can share my story sometime, how I succeeded in leaving (considered safe) nests at the edge of cliffs and building new place many people want to explore once in a lifetime. I hope joining the FEF is getting compass for my journey. Thank you. AgainstAllOdds, Suzanne Bazemore, lowtek and 7 others like this. Welcome to the tribe! How can we help you? Suzanne Bazemore and gracekyung like this. There are no manuals but there are experiences of people who have done it here. Keep reading and there are gold nuggets everywhere! Welcome to the forum. AgainstAllOdds, Suzanne Bazemore and gracekyung like this. Welcome Grace, nice to have you! Welcome to the forum Grace. You'll find many fascinating things to learn and share here. I really enjoy that we have members from all around the world. 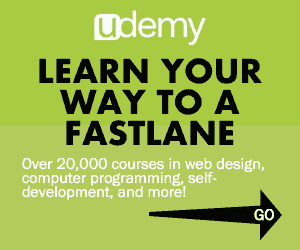 It demonstrates the universality of The FASTLANE! You will crack that shell and set yourself free. We're all here to help. AgainstAllOdds and gracekyung like this. Welcome Grace, thanks for sharing your story. AgainstAllOdds and Suzanne Bazemore like this. Hi, Grace! Welcome to the forum! I am in the same boat as you, and I hope that you will be able to share your success story soon, or even your failures, because the failures mean that you are trying. Do you know what kind of business you want to pursue?